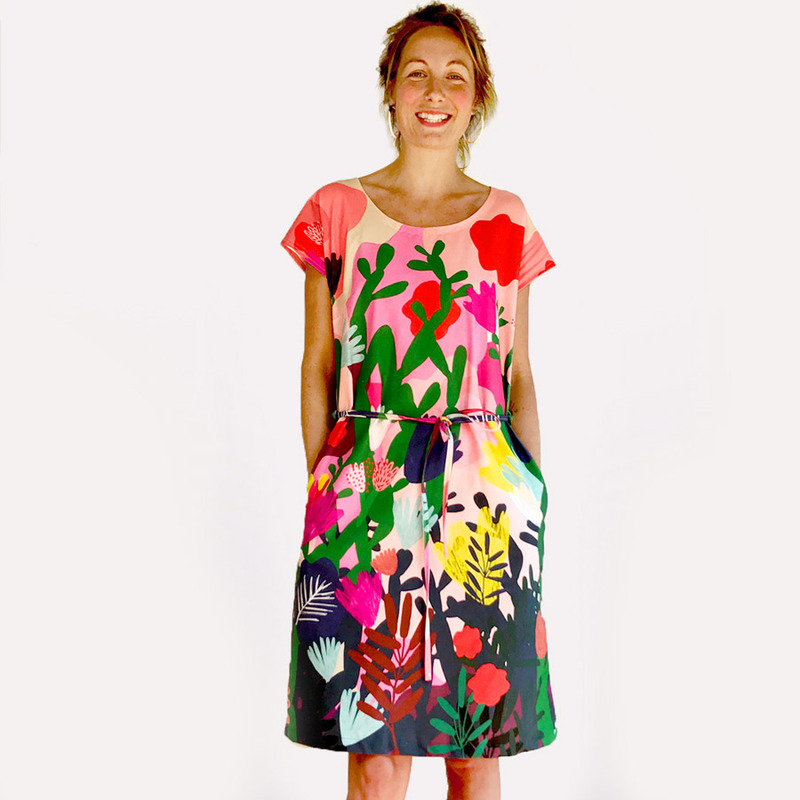 Doops Designs is a sustainable clothing and homewares label featuring designs by Jane Newham. 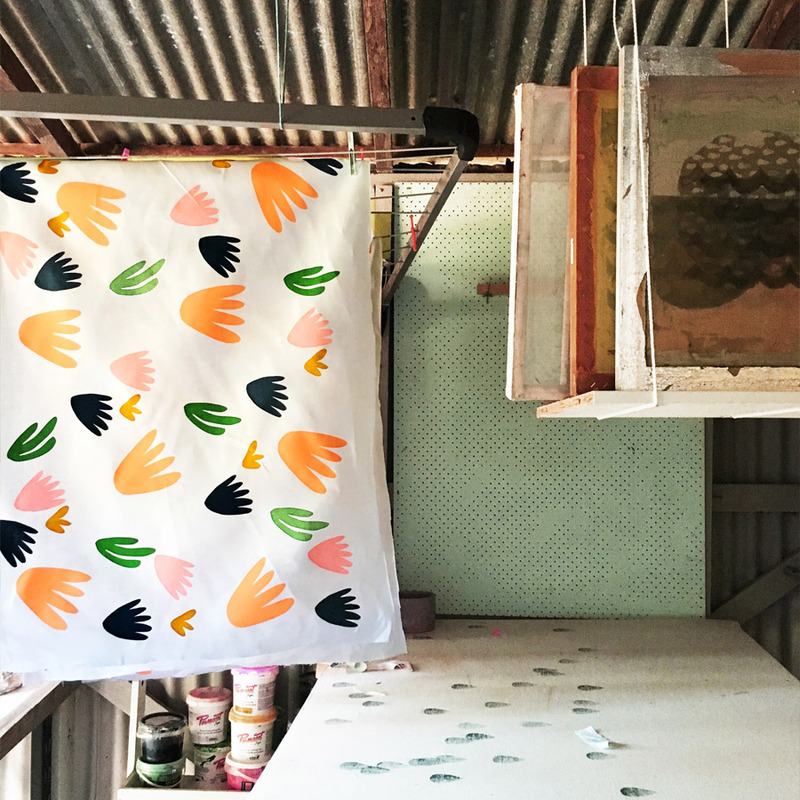 With a studio tucked away in the gorgeous green rolling hills behind Byron Bay, Jane and her team hand print beautiful textiles; they even harness the power of the sun to expose the printing screens! 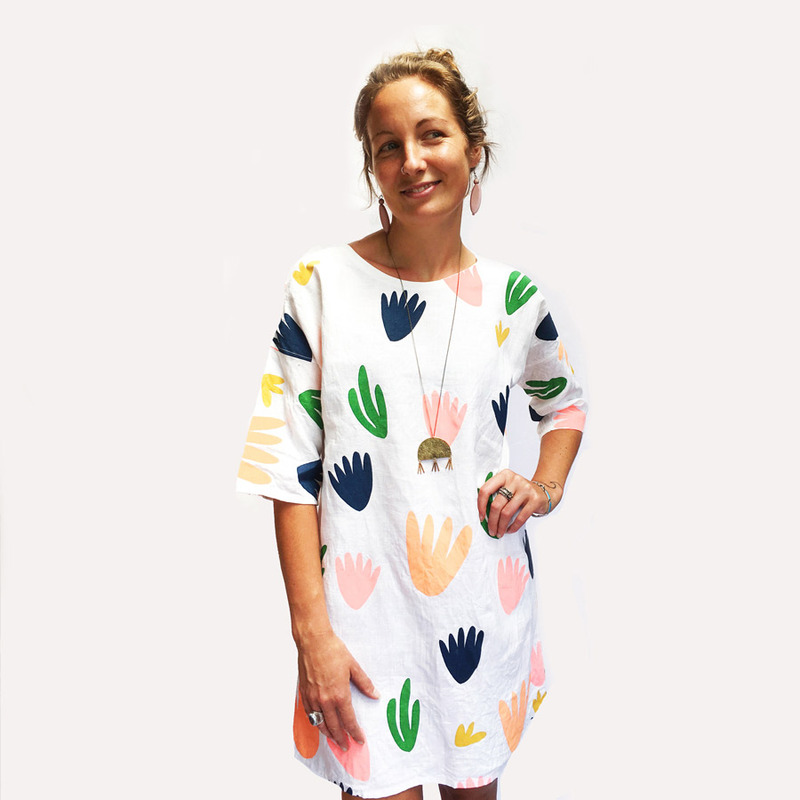 Be sure to catch Doops Design at our market in Brisbane, when they have their first ever stall this weekend. I went to my first Finders Keepers when I lived in Melbourne and dreamed of someday having my own stall at this magical marketplace. 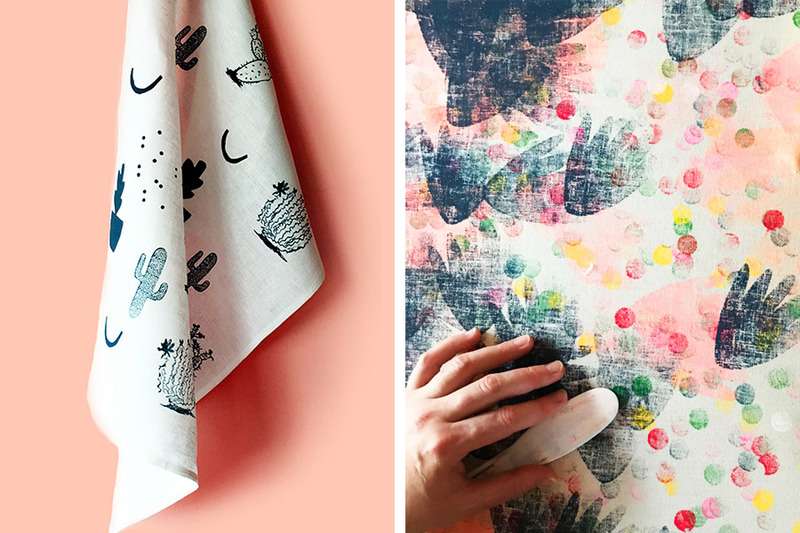 I started my business in 2015 when Etsy were offering a challenge called Creative Courage Challenge for people who wanted to open a Etsy shop but would like a little advise and support along the way. Pip Lincolne of Meet Me at Mike’s & Cath Young of My Bearded Pigeon were our mentors. 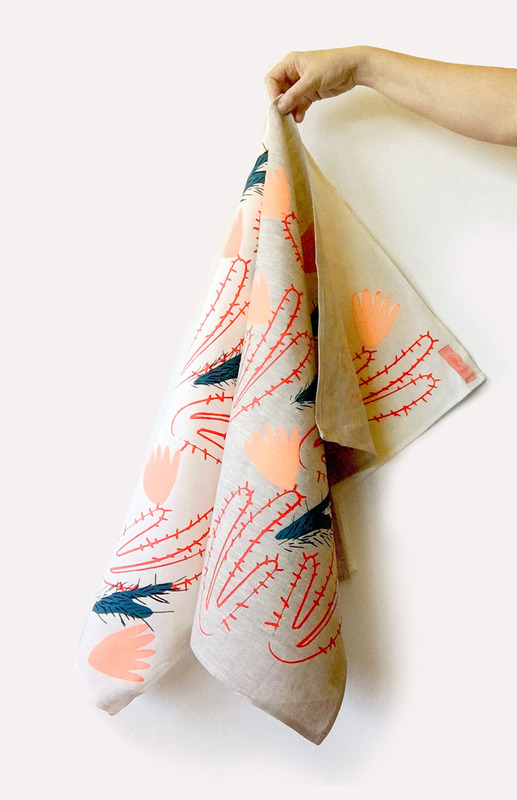 I’d just moved back to Northern NSW to raise my kids and I needed to make a living that could utilise my creative training (textile design at RMIT), while being viable out here in the countryside. I was getting work as an illustrator but textiles were my passion. So I was juggling the two for a while, along with single-parenting two little kids, when all of a sudden, my online business just took off! I had to rope my mum in to sew for me and then a friend and then another friend. Now things are going so gangbusters I might need to pause for a moment to think about how best to ride this magnificent monster I’ve created! Talk us through a typical day in the life of Doops Design. I love bold, playful prints and started making clothes for myself when I couldn’t find anything that I really loved to wear that suited my figure. I have received so much glowing feedback from customers who feel the same way – why should we voluptuous ladies miss out on all the gorgeous fun? A day in the life: First I slave for my children until school time, and then around 9.30 am I start work. I start by delegating tasks to my workers and getting on top of orders, responding to emails etc. Then I might do some screen printing out in my shed. Because I work from home it can be easy to get distracted by chores so laundry etc. might sneak in there too. I usually stop by the village post office to send orders before collecting the kids from school. Now that I’ve got contract sewers I can knock off at a reasonable hour instead of working into the night, but I still might do some cutting or designing in the quiet time after the kids go to bed. 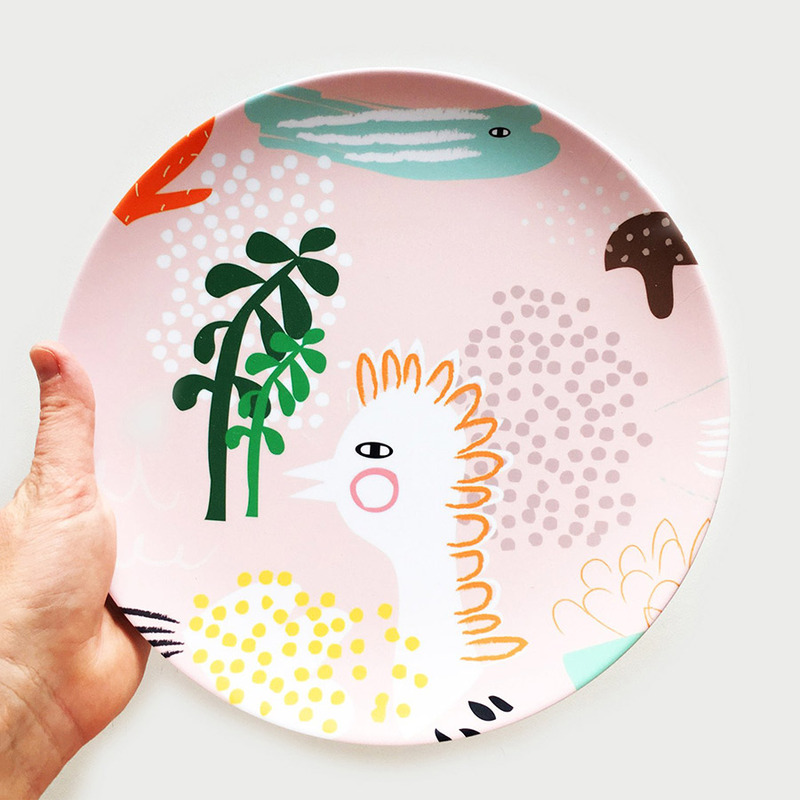 Inspiration: I’ve always loved Marimekko – the bold colours, large prints and simple shapes in good quality fabrics and styles that cater for voluptuous women. I said to myself – I want to do that! As an illustrator, I’m also inspired by the work of Rebecca Green & Marc Martin. I love to play with incorporating some of the storytelling elements of illustration into my print design. My mum was my earliest inspiration, as a super-creative woman in the kitchen, garden and sewing room. She is a key member of my team and though we don’t always agree, creatively it is really good to be able to bounce ideas and problems around with her because we can be so honest (and occasionally blunt) with each other! I respect Frankie and Ray. She keeps it really simple with an emphasis on quality. Her clothing can be worn by women of any age. I love her Instagram feed – she makes it seem possible to keep doing this for a good long time, sustainably. I also love the work of Willowynn – we live just down the road from each other, with kids the same age and we have become really good friends. Right now I am really content with and proud of having my products made here in Australia, creating employment in my local community and maintaining high ethical standards. 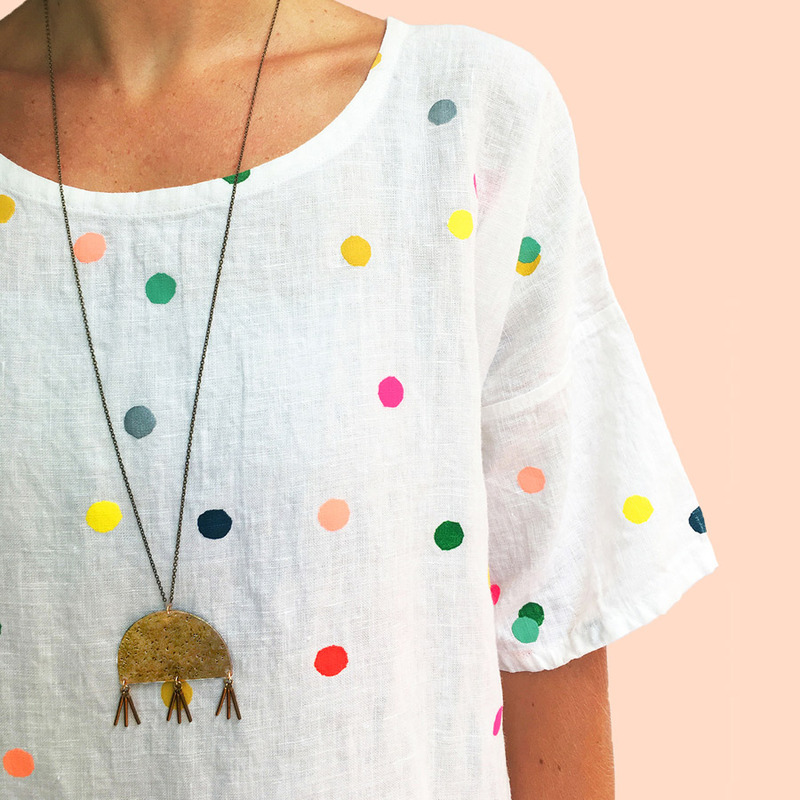 I’m inspired by other Finders Keepers designers who share a similar mindset. Actually starting this business and it being a success! There were those who didn’t believe I could do it, and that actually motivated me to show them – or rather – show MYSELF that I could! And I did! The creative path is definitely not the easy path, but it’s in my soul and my blood. I can’t not do it. This is my passion and I am living it. I hope I can inspire other creative people to work hard and believe in themselves too.